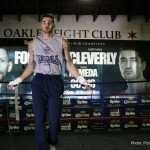 CHICAGO (October 13, 2015) – “Chicago’s Polish Prince” and top light heavyweight contender Andrzej Fonfara (27-3, 16 KOs) and his opponent, former world champion Nathan Cleverly (29-2, 15 KOs); along with reigning super flyweight world champion Kohei Kono (30-8-1, 13 KOs) and former world champion Koki Kameda (33-1, 18 KOs), worked out for the media today in advance of their Premier Boxing Champions (PBC) on Spike showdowns this Friday, October 16 from UIC Pavilion in Chicago. 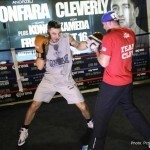 Fonfara vs. Cleverly will serve as the 12-round main event, while Kono vs. Kameda will be the 12-round televised opener. The Spike broadcast begins at 9 p.m. ET/PT. Tickets for the live event, which is promoted by Warriors Boxing in association with Matchroom Boxing, are priced at $151, $101, $51, $41 and $31, not including applicable service charges, and are on sale now. To charge by phone with a major credit card, call Ticketmaster at (800) 745-3000 or UIC Pavilion Box Office at (312) 413-5740. Tickets are also available at www.ticketmaster.com or by visiting the UIC Pavilion Box Office (Thursday or Friday 9:00 a.m. – 4:00 p.m.). 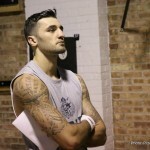 “I have won some big fights and I am proud of that, but I have to stay focused on the sport and continue to do my best. I’m just a normal guy. I’m a boxer and a warrior and I continue to improve with every fight. That’s more important to me than being called a rising star in boxing. 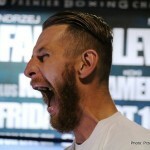 “Cleverly says he’s too slick for me, but we will see what happens in the ring on Friday. You never know what will happen in a fight. Maybe he is faster and slicker, but I’m stronger and I think I’m a better fighter right now. “The plan is to beat him on Friday, but if I get the opportunity I will knock him out. This is the sport we are in: blood and sweat. 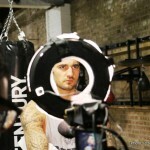 “It’s going to be an enjoyable experience fighting in his backyard of Chicago. It’s a bit of an adventure. The pressure is off in a way because he has the expectations of the home crowd. I’m just coming here to do my job and win the fight. “I’m confident it’ll be a good fight and I’m ready. “I have always had a dream to fight in the United States. I will do my best to perform up to the historic nature of this fight. “Kameda says he is a ‘charismatic genius.’ I disagree and I’m here to prove him wrong. I will prove it Friday night that I am the true force. “I am in the best shape of my entire boxing career right now. 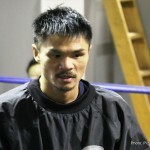 I spent five weeks in Las Vegas training with Ismael Salas and that was best thing I could have done. I didn’t do anything but prepare for this fight. 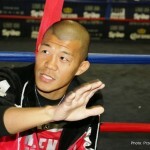 “Kono promised the Japanese press and his fans that he would knock me out… that’s about the last thing that is going to happen in this fight. I find that funny. « Monaghan & George Let It Rip. 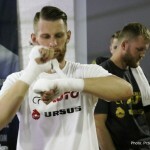 It’s truTV Fight Week – Brooklyn Style Baby!